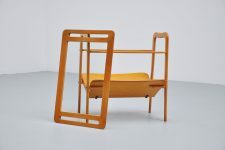 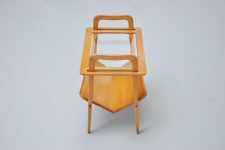 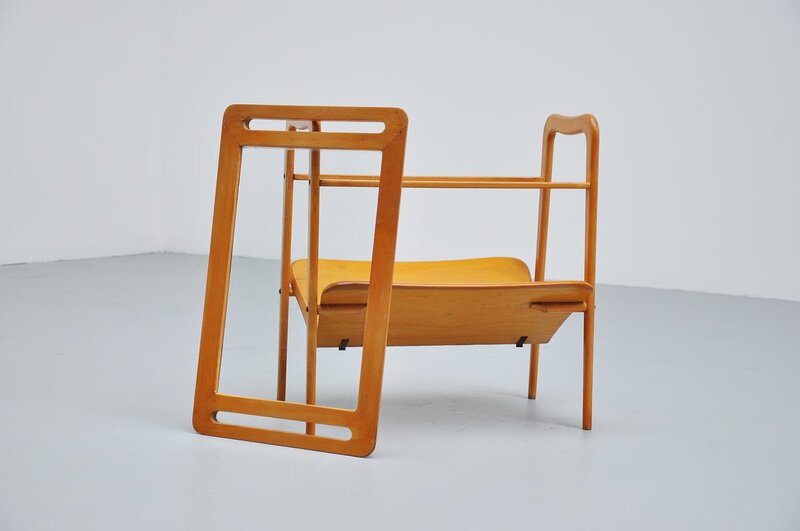 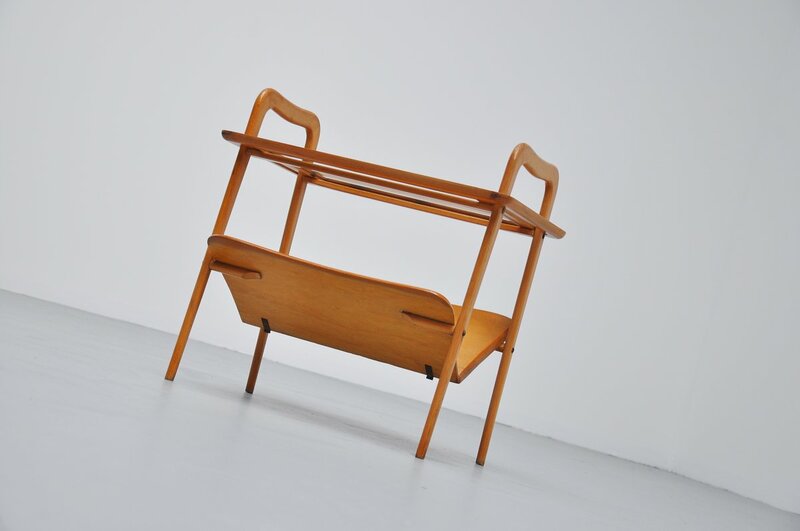 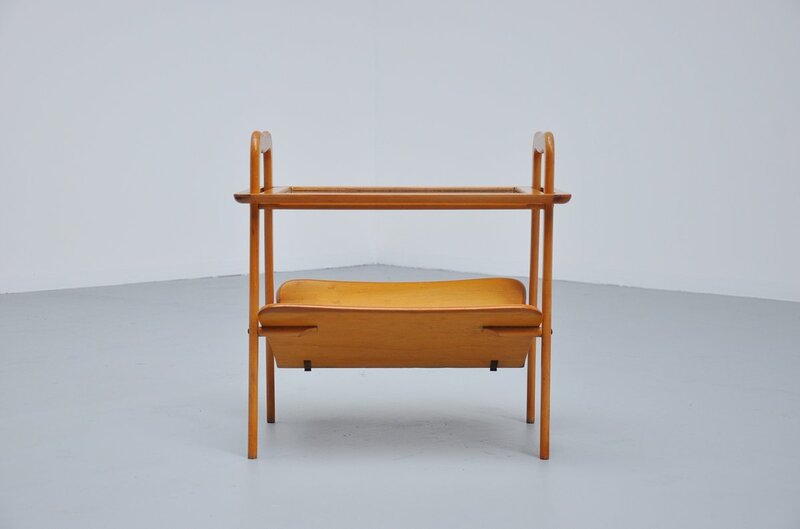 Very nice organic shaped magazine table, typical Italian design by Ico & Luisa Parisi 1955. 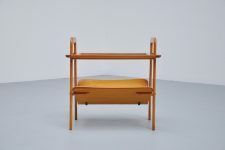 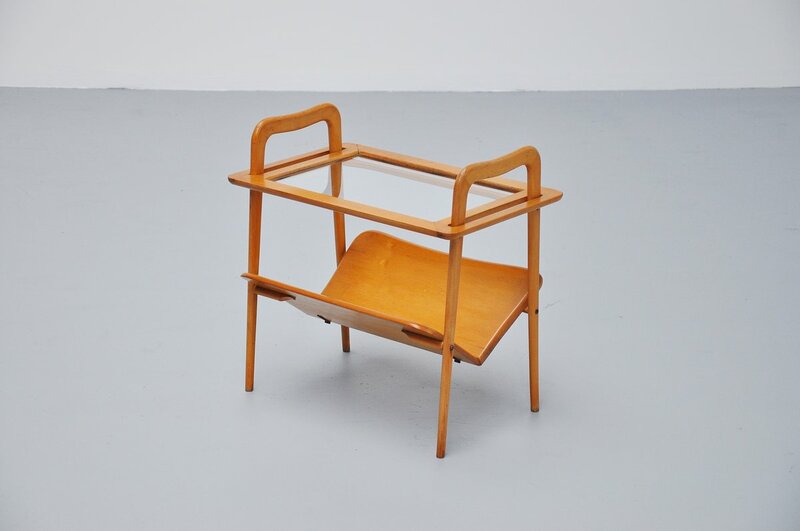 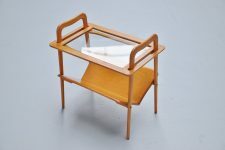 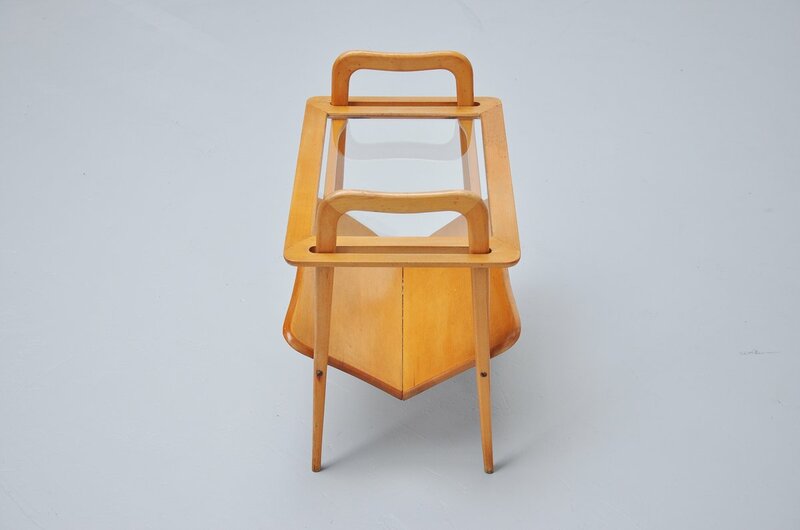 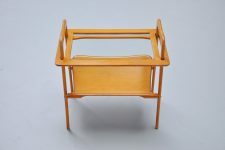 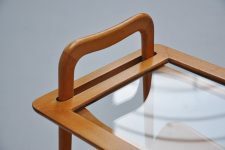 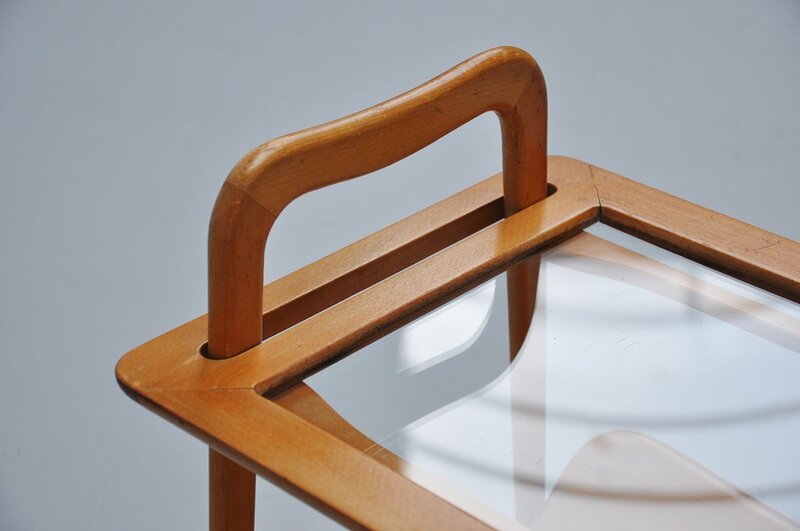 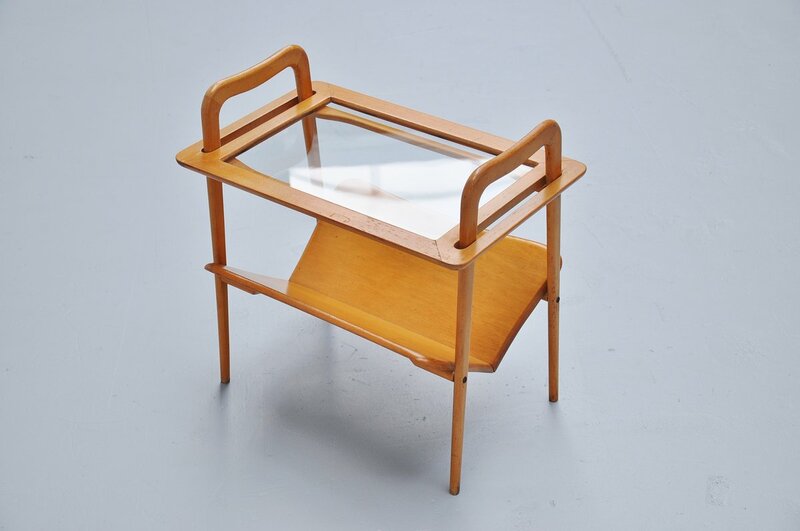 This table is made of solid beech wood and has a lifting tray for serving. 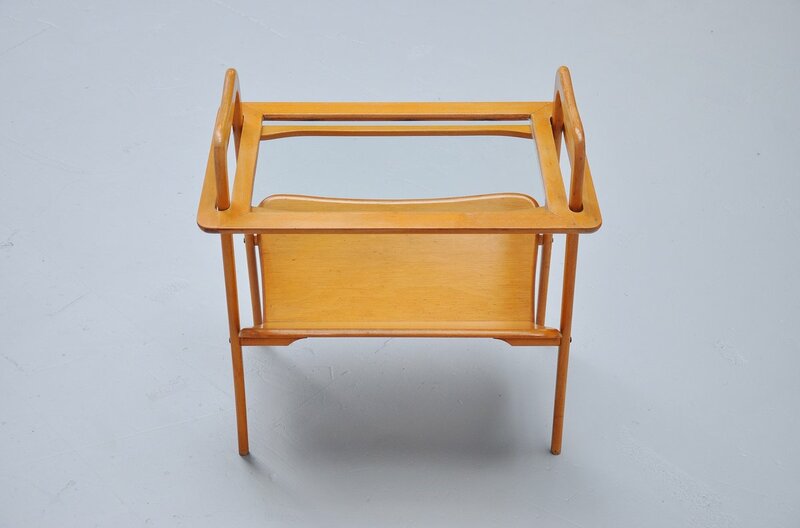 The table has a V shaped tray below for magazines and is in very nice original condition.